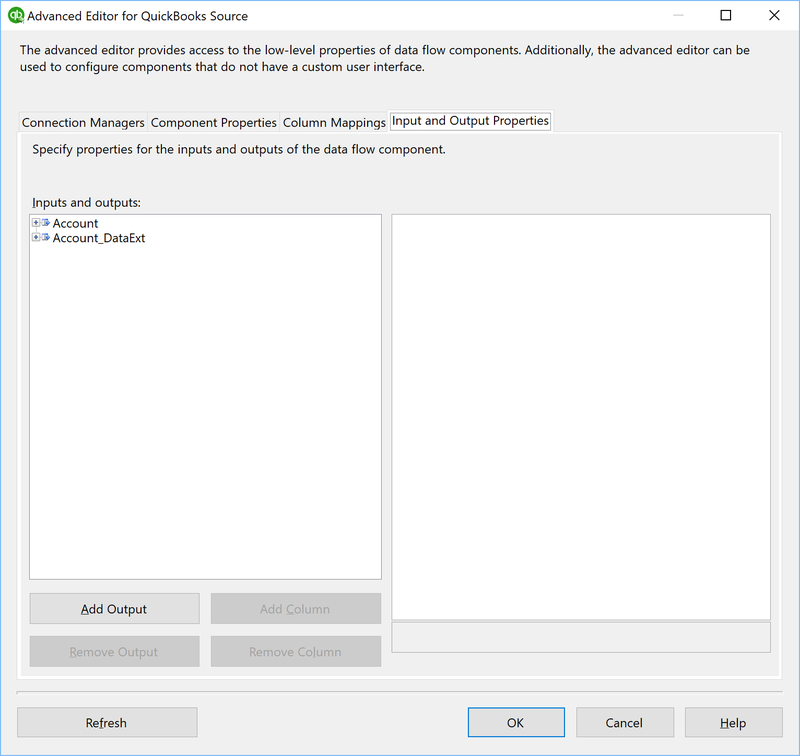 The QuickBooks Source Component is an SSIS Data Flow Component for consuming data from the QuickBooks service. 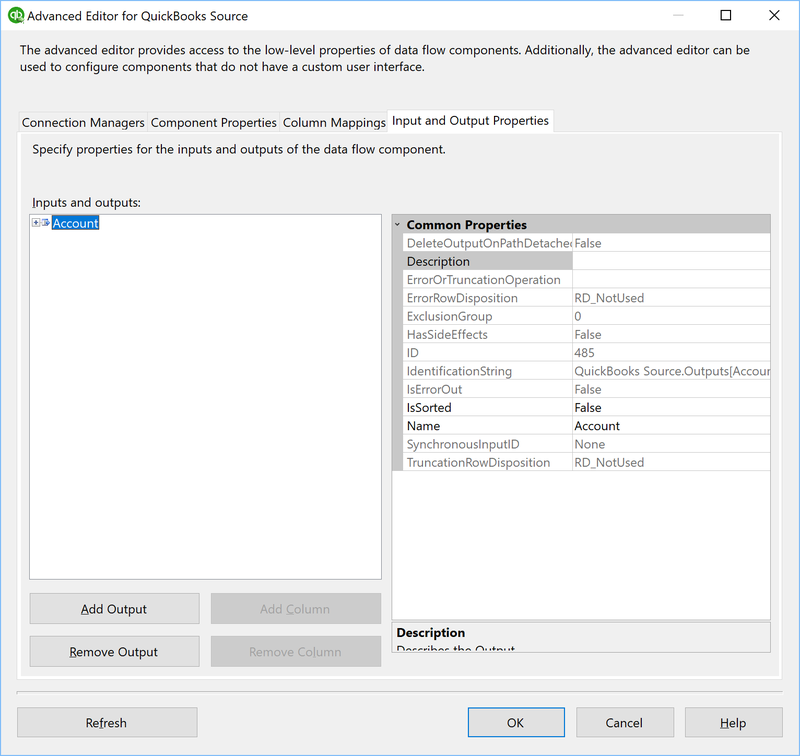 The configuration parameters are provided in the standard data flow source component dialog. A separate output is setup for the main object and each related composite object. In this section we will show you how to set up a QuickBooks Source component. 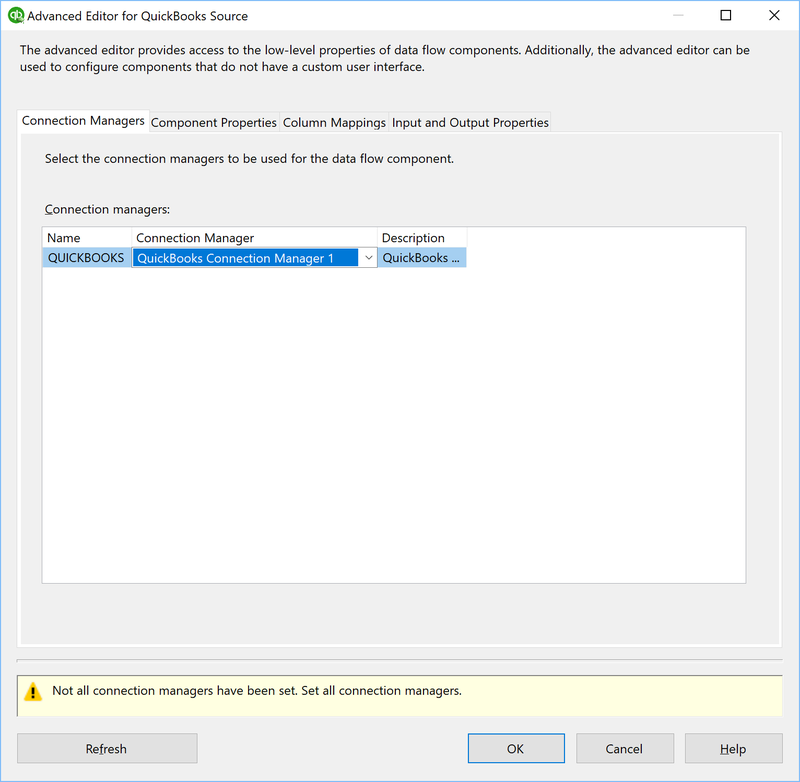 Before you begin, configure a QuickBooks connection manager. 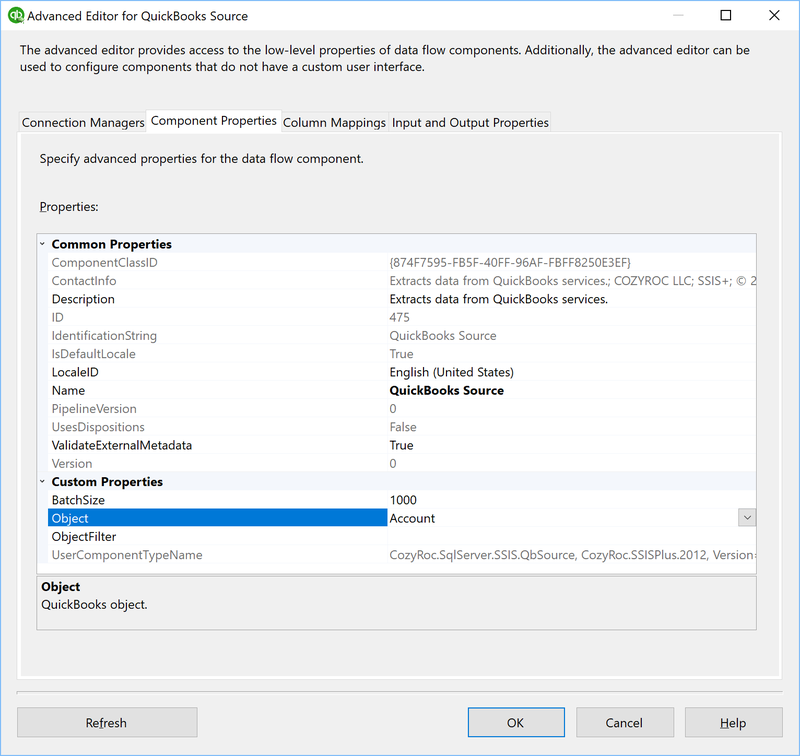 In the SSIS Toolbox, locate the QuickBooks Source component and drag it onto the Data Flow canvas. Double-click on the QuickBooks Source component on the canvas to open the editor. For Object, select the QuickBooks object you want to work with. Click on the Input and Output Properties tab. Remove any extra Outputs that you do not want from the list of outputs. Certain objects offer multiple outputs and they will have many columns duplicated between them. To remove the unwanted Outputs, select the output(s) you do not want, one-by-one, and click on Remove Output for each one. Expand the Output that you want to work with. If you do not want to work with all of the columns from this Output, expand the Output Columns and remove the columns you do not want from the list by selecting them, one-by-one, and clicking on Remove Column for each one. Congratulations! You have successfully configured the QuickBooks Source component. Select an existing QuickBooks connection manager. Specify the WHERE clause of the QuickBooks Online SELECT statement used to retrieve data. Where can I find the documentation for the QuickBooks Source? How to work with composite records handling in a QuickBooks source component. New: Support for DataExt object. Fixed: Component failed with error "Object reference not set to an instance of an object" when trying to use TxnDeleted object (Thank you, Richard).